SALE! 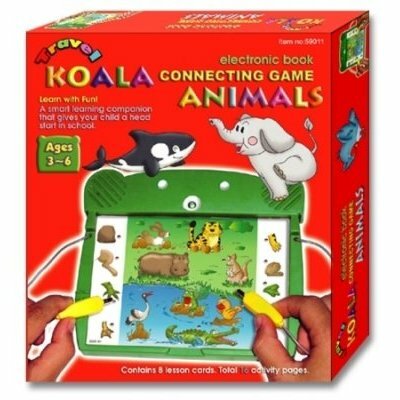 Get up to 40%off on educational games and puzzles! 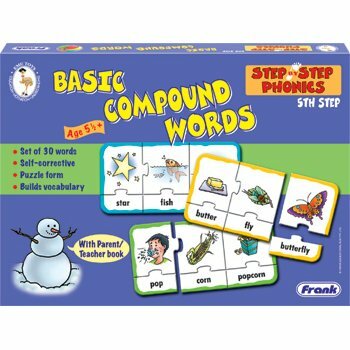 The fifth in the series, Basic Compound Words encourages the child to make compound words by putting together two simple words. 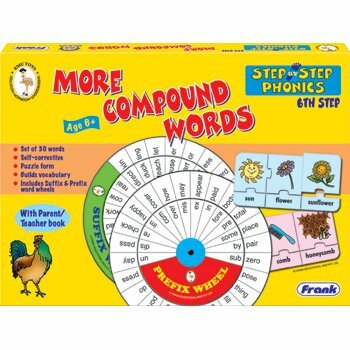 The child analyses that the compound words formed from joining two words are different. The last step in the language series, Simple Sentences deals with basic sentence construction. Along with building vocabulary, the child learns the placing of nouns, verbs, adjectives, articles and prepositions in a sentence. 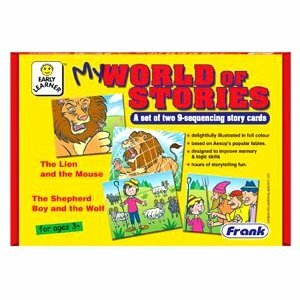 Two delightfully illustrated stories based on the popular Aesop's Fables, divided into 9 sequencing story cards each, having colourful and bold illustrations on the front and simple text on the back. Its compact, versatile design allows for it to be played anywhere, yet the content is fun and educational. This simple matching game gets your child playing and learning on the go! Comes with 16 activity pages. Battery not included. 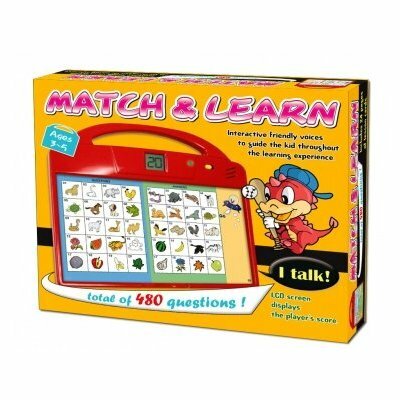 Match & Learn is an interactive matching game with LCD display & friendly voice to guide and challenge the child to learn with fun. Comes with 24 interactive pages. 480 questions. A cards storage compartment on the back. 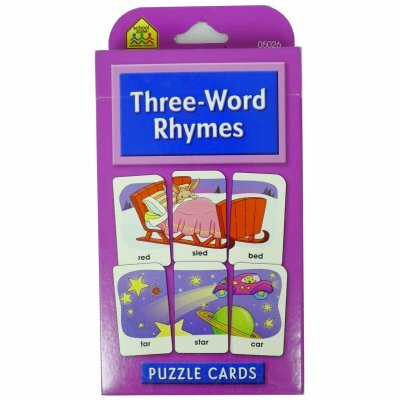 3-3/8" x 5" flash cards. 6-3/4" x 7" flash cards. This teaches grammar with a wacky card game that is easy to learn and fun to play. The colorful cards can be combined to create sentences with adjectives, nouns, verbs and conjunctions. For ages 6+. A game that challenges and improves your child's logical and observation skills. Includes 30 cards. For ages 5+. Helps inclucate good habits. 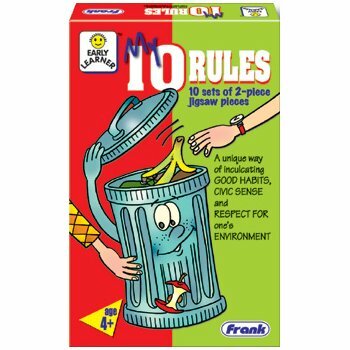 Includes 10 sets 2-pc puzzles. For ages 4+. An interesting puzzle that helps the child know the different types of work that people do. 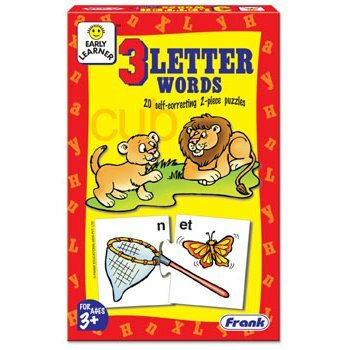 Includes 10 self-correcting 3-pc puzzles. For ages 4+. 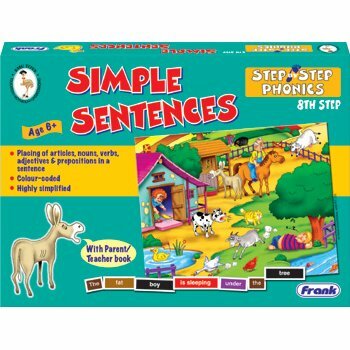 The 6th step in the Step by Step Phonics series. Exposes the child to the challenge of analysing and putting together words. A game that helps the child to understand that certain words have the same meaning in a similar context. For ages 5+. Children's first introduction to spelling using the letters and sounds. 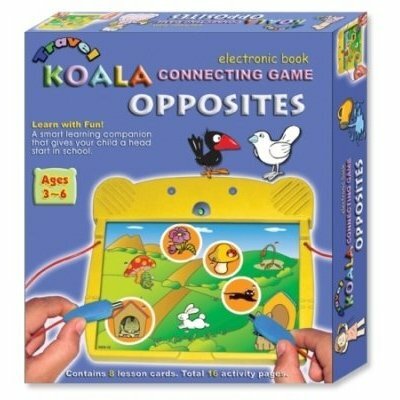 Includes 20 self-correcting 2-pc puzzles. For ages 3+. 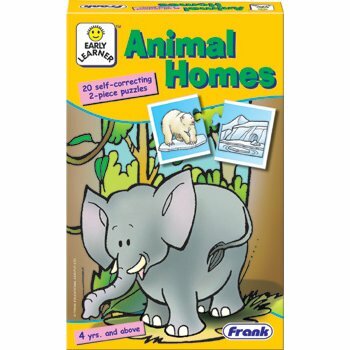 An attractive puzzle that introduces animals and their homes. 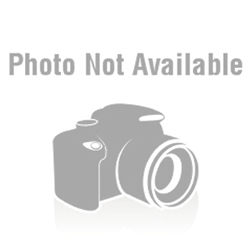 Includes 20 self-correcting 2-pc puzzles. For ages 4+. 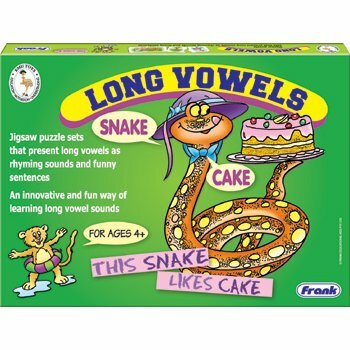 Helps the child learn simple words with long vowel sounds the phonetic way. For ages 4+.